Prepared by our master roasters, the robust and sweet flavors of our Van Houtte Espresso Superiore has conquered the finest palettes in the world. Its taste has woody notes and intense body that you will enjoy from the first sip. 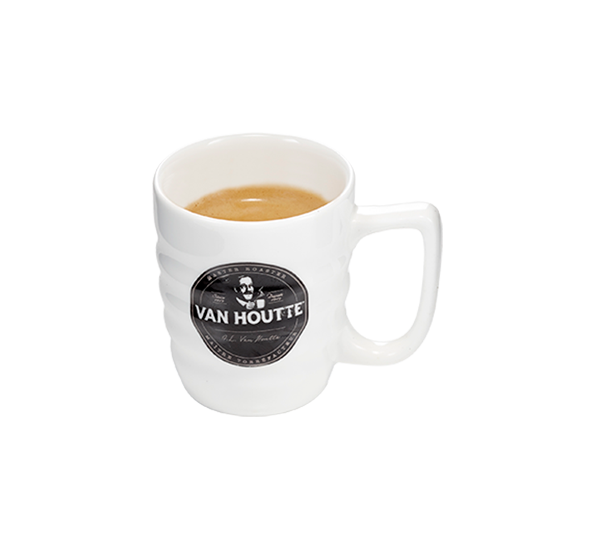 No wonder why our baristas are opting for this high quality espresso when executing our delicious specialty coffees available in all Cafes Van Houtte! A classic, dark espresso in its purest form, topped with traditional golden créma – the true sign of perfection and the pure taste of Italy! Trust our baristas’ talent and creativity. Hot or cold, our espresso beverages are exclusively made with Van Houtte’s award-winning Espresso Superiore. The iced versions are delicious too! 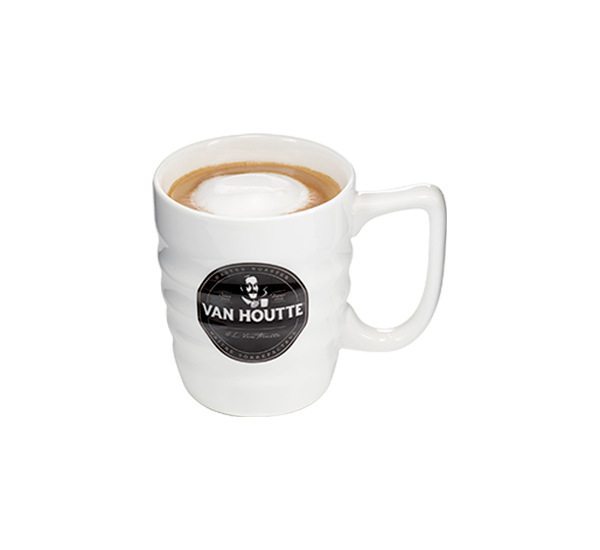 We still roast our coffees using the traditional small batch technique and recipes of our founder, Albert-Louis Van Houtte. We’re proud to offer a wide selection of brewed coffees with enticing aromas and tastes. The richness of our Espresso Superiore is obtained under optimum conditions. 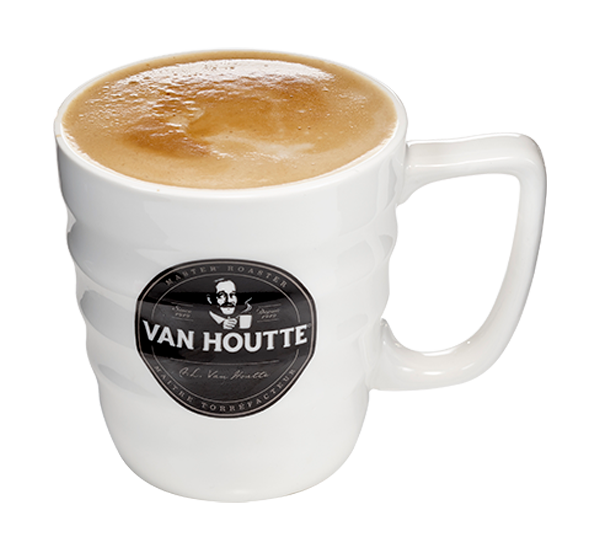 It is distinguished by its frank taste and crema, this rich golden foam that is the signature of a good espresso. Available in single size, double, short or long. Discover also the Americano: our rich espresso with filtered hot water. The rich flavour of our Espresso Superiore mixed with a generous portion of hot milk which gives it a comforting sweetness. The successful marriage between the pronounced flavour of espresso and sweetness of milk. Try it in different flavours: Dulce de Leche, salted caramel, vanilla and/or hazelnut. 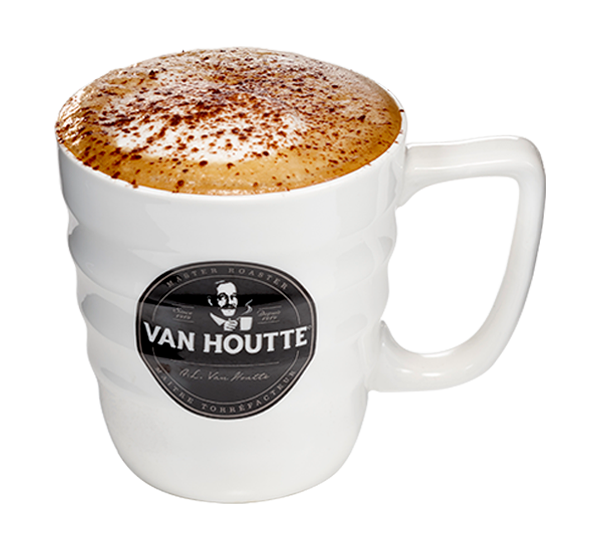 Rich Espresso Superiore with added hot milk, topped with a creamy milk foam and sprinkled with cocoa or cinnamon. 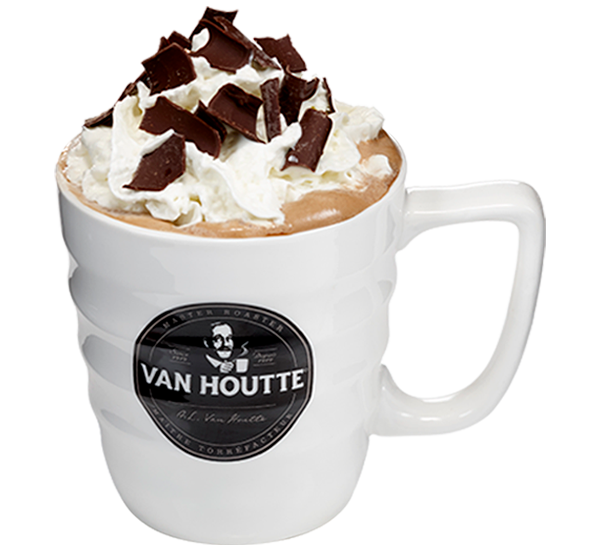 Our rich Espresso Superiore mixed with our chocolate sauce, creamy milk foam and whipped cream. 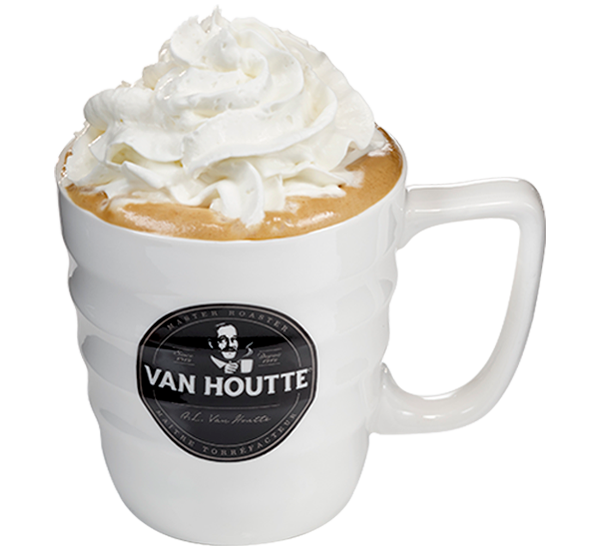 The same great taste of a latte, but with a touch of whipped cream. 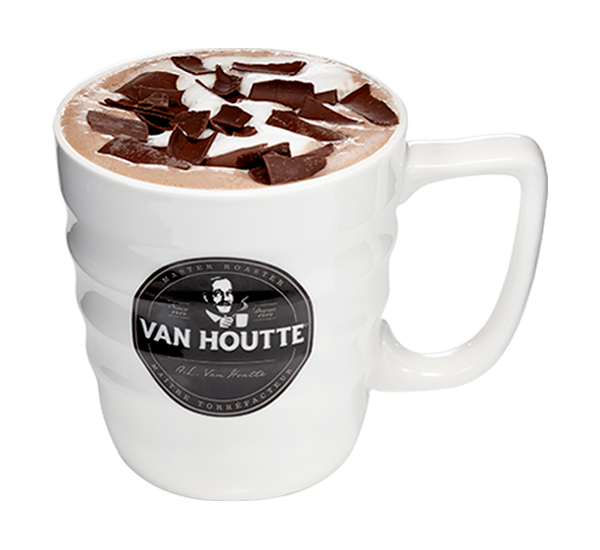 Fall back into childhood with our delicious hot chocolate. 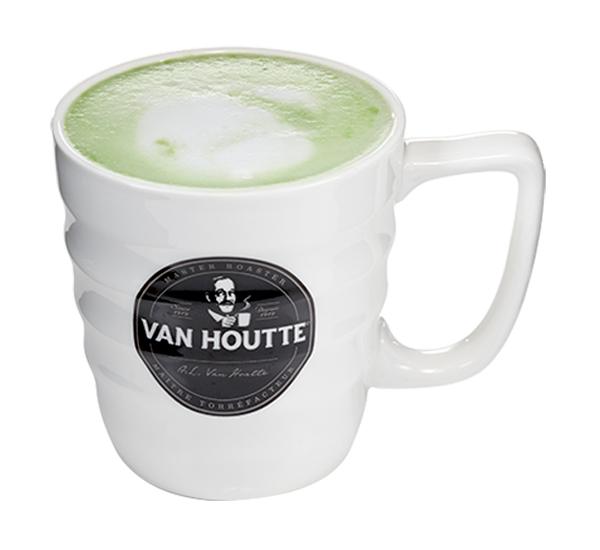 All the benefits of matcha green tea in a cup with added hot milk. Good relaxation! Journey through the spices with our flavoured chai latte. 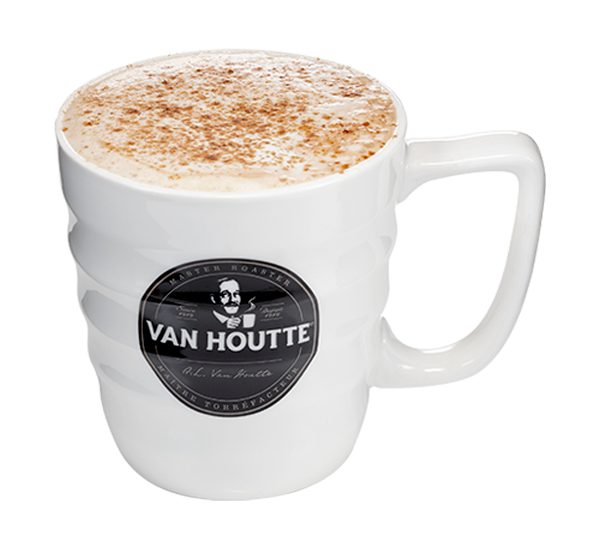 All topped with delicious milk froth and our homemade three spice mix! Also available in Moka: A cold drink made from our rich Espresso Superiore, whose aroma and intensity are accented by any flavour choice. The pinnacle of granita! The richness of our Superiore Espresso poured over ice and mixed with a good amount of fresh milk, which gives it a sweetness and creaminess that is most refreshing. A delicious fruity drink made with Perrier water. For the hottest days or just to stay well hydrated! * More details on all our beverages in store.